I bought a new doll on eBay that is not for flipping, but is just for me. He’s unmarked, German, 11″ (28cm) tall, with a solid-dome bisque/Parian head, bisque hands and a cloth body. The seller listed him as 12″ tall, but she must’ve measured his height to include his hat. He’s really a she: a girl doll dressed in boy’s clothing. I love the embroidered velvet trunk hose (poofy pants). If I ever get tired of the historically inspired costume, I can just make him a dress. Do I need a separate blog to talk about my embroidery journey into the 17th century? I’m having trouble deciding. When I started My Doll’s Trousseau, my intention was to write about all my creative ventures, but I’ve found that to build my readership I need to share on Facebook doll groups. And on the groups’ sites, I need to stick to discussing dolls. When I write about embroidery stuff, I don’t post to the Facebook doll groups and I don’t get many readers. That has stifled me a bit. only post doll stuff on this blog and keep the rest to myself? talk about whatever creative stuff I’m doing on this blog? or add a second blog to talk about the embroidery? There’s lots going on with the embroidery projects and I’m itching to share. Am I crazy to even consider a second blog? Off the top of my head I like your blog the way it is. Any of your creative ventures can be applied to dolls. I think the embroidery and any other creative endeavors related are interesting to doll or toy collectors. 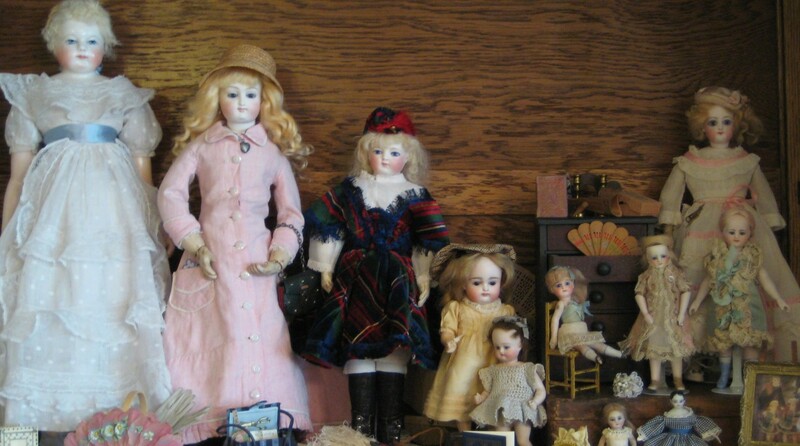 Most of the Doll people in my area also sew, embellish or craft items for their doll collections. Love the costume, excellent purchase! !